Please join us in beautiful Montego Bay, Jamaica to celebrate the wedding of Brittany and Kadeem. 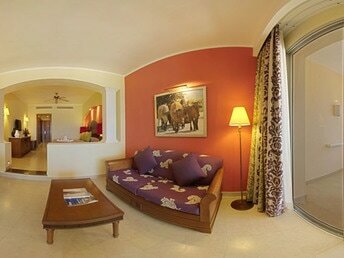 We've arranged accommodation at The Iberostar Rose Hall Suites, which is a 5-star all Inclusive luxury hotel. 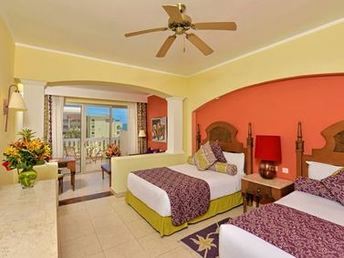 All guestrooms have been carefully appointed to meet the needs of every traveler. 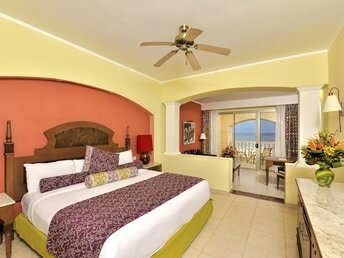 This beachfront hotel boasts spacious rooms with breathtaking sea views. With proximity to the urban area of Rose Hall, guests can experience traditional Jamaican lifestyle and enjoy all the island has to offer. Rose Hall Suites has 4 speciality restaurants, 1 buffet, 6 bars, swim-up bars and room service, all included in your room rate. In addition to all-inclusive food and drinks, there are plenty of activities to enjoy. We have discounted room rates available in the following options. All rates are quoted with two people in a room. Please note that this pricing does not include airfare. BOOKING A ROOM THROUGH THIS SITE IS THE ONLY WAY TO ENSURE ACCESS TO THE WEDDING. Choice of a king or two double beds. ​Choice of a king or two double beds. Discounted rates available for children up to age 12 in rooms with two paying adults. Please contact Rene for more details. To start the booking process or for any questions, please call Rene Prasad at Grand Explorations at 866-869-1760 or fill out the form below.